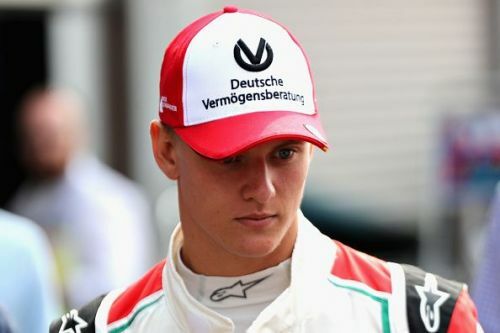 In a shocking report, the Daily Express have claimed that F1 legend Michael Schumacher's son, Mick Schumacher, is being head-hunted by Red Bull to fill up a vacant seat at Toro Rosso for 2019, where Pierre Gasly is heading to the senior team. The younger Schumacher has enjoyed an upturn in form recently at F3, where he has emerged victorious in six of the last ten races held. He needs to have a podium finish and 20 license points to be eligible for F1, both of which he can fulfill over the rest of the season. The report itself draws from Motorsport.com, who have stated that Red Bull are looking to sign Schumacher to a 2-year deal, and may either put him in F1 or F2, at one of their teams. The news may come across as somewhat deflating for current F1 drivers, Esteban Ocon and Stoffel Vandoorne. Vandoorne is definitely out of a seat next year while Ocon seems to be following suit after Lawrence Stroll's take-over of Force India. His association with Mercedes seems to put off a lot of teams, as they fear he will make the jump at the first opportunity, which means that he is not a long-term option for anyone. The Frenchman is seen as one of the most talented drivers on the grid currently. Mick Schumacher had earlier laid bare his goals of reaching F1 at the earliest. The pressure to succeed on him must be immense as his father is statistically the best driver in the history of F1, with seven drivers' championships to his name, five of them being consecutive. He is certainly very talented and the 19-year-old was described by Gerhard Berger as having his 'father's genes', which is the highest praise a racer can receive. Schumacher had made his F1 debut at 22 and if his son does make it to F1 next year, he'll be making 2 years prior.